Recently, there are many devices and displays that present information by motion or deformation of components in the field of human machine interface. Especially the movement of plants is very interesting, for example, when the grassland spreading over the surface is blown by the wind, people have a moment to be moved by the scenes of nature and the beauty of living things. While there are many research works based on the movement of plants, there is still room for consideration in the expression method of controlling the motion of leaves, stems, and petals. 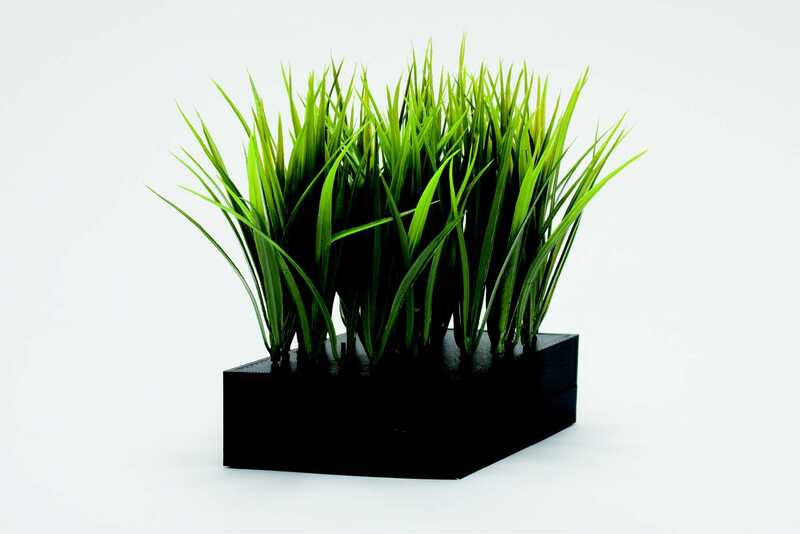 Therefore, we propose a expression method of display which expands the range and the scale of expression and efficiently controls multiple actuators by efficiently controlling actuators using a large number of artificial weeds at once. Fuj i -chan was created as a way of visual ising hazard information in an unconventional way. Despite being a popular tourist attraction, few people realise that Mount Fuji is actually an active volcano. The Fuji-chan device provides information visually through LEDs at the top (indicating temperature) and base (indicating volcanic eruption), with an aural alarm also for volcano eruption warnings. The Fuji-chan device connects to a web server and retrieves weather and volcano eruption data every five seconds. If there is an eruption warning of level two or above for Mount Fuji, the alarm will sound and the base of the device emits a colour based on the warning level. By communicating this information simply, virtually anyone can understand the warnings. 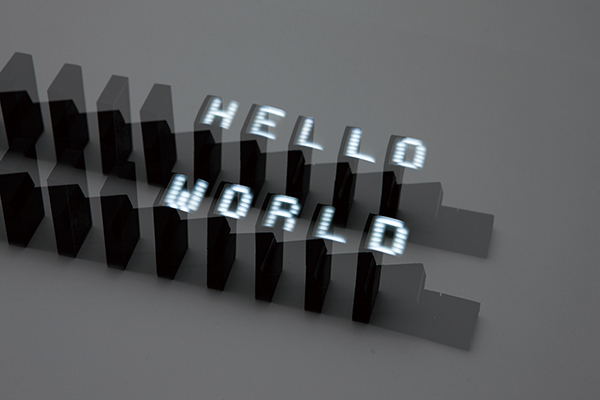 We also hope that this device promotes the idea of an “Internet of Beautiful Things”, with IoT technology being applied to aesthetically pleasing interactive works. Taifūrin is an interactive wind-chime device which uses internet-based typhoon data to alert people to an approaching typhoon. 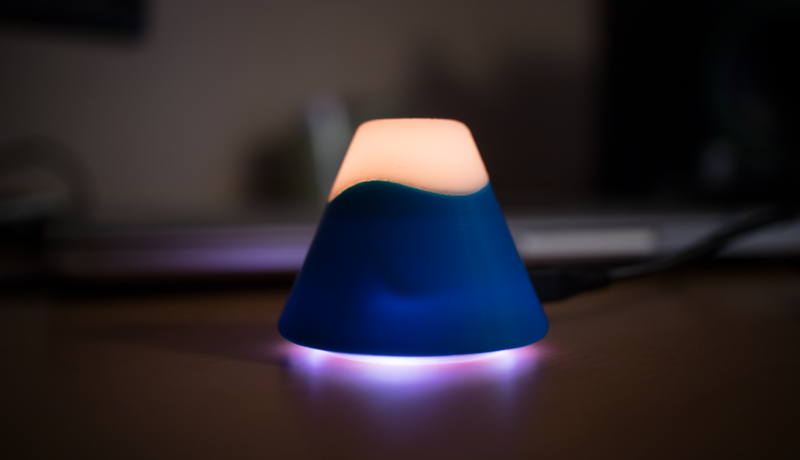 The device consists of LED lights and an interface based on a traditional Japanese wind-chime, which is connected via a motor to a small single-board microcontroller with a wireless internet connection. 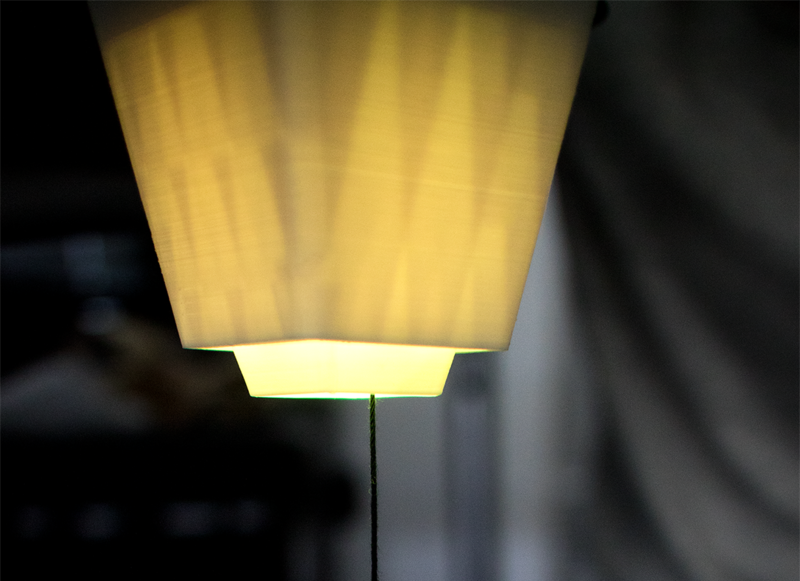 When a typhoon is within close proximity (<300km) to the device, the motor will ring the wind-chime and the LEDs illuminate based on the category (strength) of the typhoon. This device was created to explore two ideas: that near real-time geospatial data can be communicated in a simple but novel way that does not rely on conventional mapping software; and that Internet of Things (IoT) and Mixed/Augmented Reality technologies can also be applied to traditional cultural artefacts where technology has previously played no role. By creating this unique device, we are exploring the Japanese Zen aesthetic concept of wabisabi in interactive works. Due to recent advances in technology, electronic toys have also been improved. Especially focusing on radio control cars, while it has been common to operate by using a lever attached to a controller so far, operating methods such as touching the screen of the device and using physical information such as brain waves are also on the market. However, for children, they need to understand beforehand the relationship between the movement of the toy and the lever and button. In this research, we produced a radio control car that enabling operation with intuitive motion, “shake”. When the user plays the handbell, the toy can determine the direction of sound by frequency analysis, moving towards the sound. It has multiple distance sensors to avoid collisions among multiple toys around. 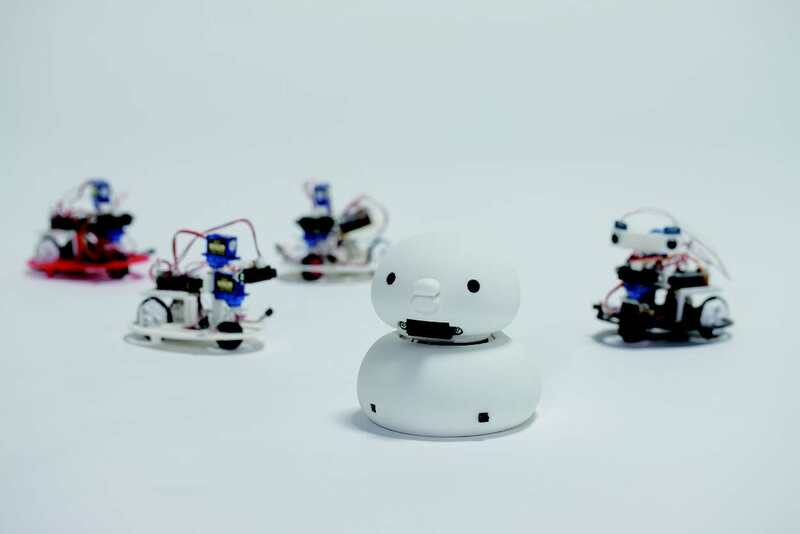 As multiple toys recognize a specific sound and move towards the same target, a user and the toy can become parenthood of birds. It is important that identifying various types of switches in modern society. However, with so many kinds, there are lots of mistakes occurred usually like pressing the wrong switch.There is also a problem that only the machine has evolved and the switch which is the interface developed slowly. 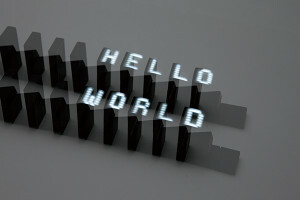 Switch++ dynamically presents multiple types of switches, predicting the function that a user wants to use with a finger gesture, and output the switch corresponding to gesture. The gestures which can be detected are “push”, “picking (sideways)”, “pinching (vertical)”, “grasping”, and those correspond to push button switch, dial switch, toggle switch, joystick. 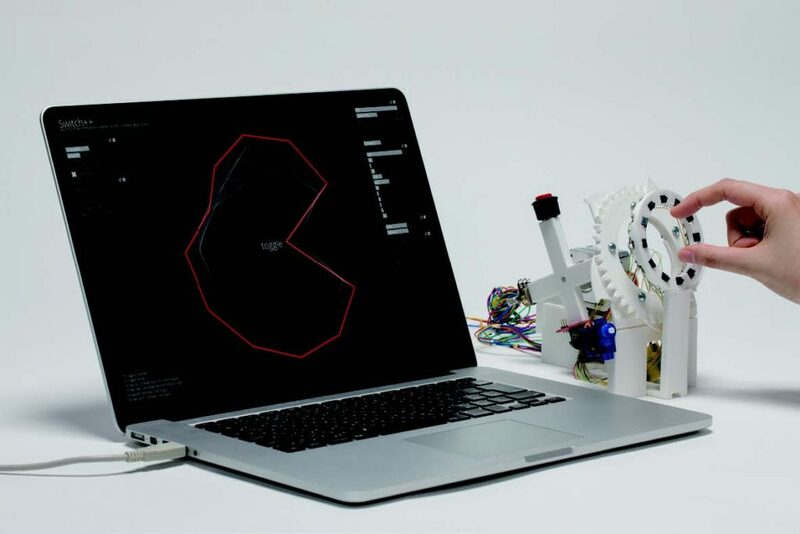 The principal aim of Switch++ was to implement an interface that predicts functions, which enhances interaction between humans and machines. 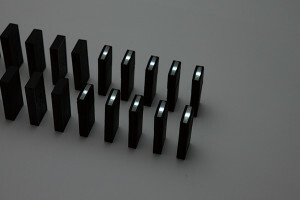 This would be an important step towards the future of managing many functions. For wheelchair’s beginners, it is a task that the traditional practice of wheelchair’s training is tedious and the promotion of beginner’s motivation is a challenge. In addition, for a healthy person, there are few places to experience wheelchair sports with disabled people and the consciousness to wheelchair and wheelchair sports is poor. In this research, we hope that we can develop an interactive system that works with the movement of wheelchair and create a place that can be experienced. Therefore, we developed the “Wheelchair Instrument”. The “Sound Wheelchair” can converts the color of colorful training course to sound with color indicator which is attached to wheelchair. 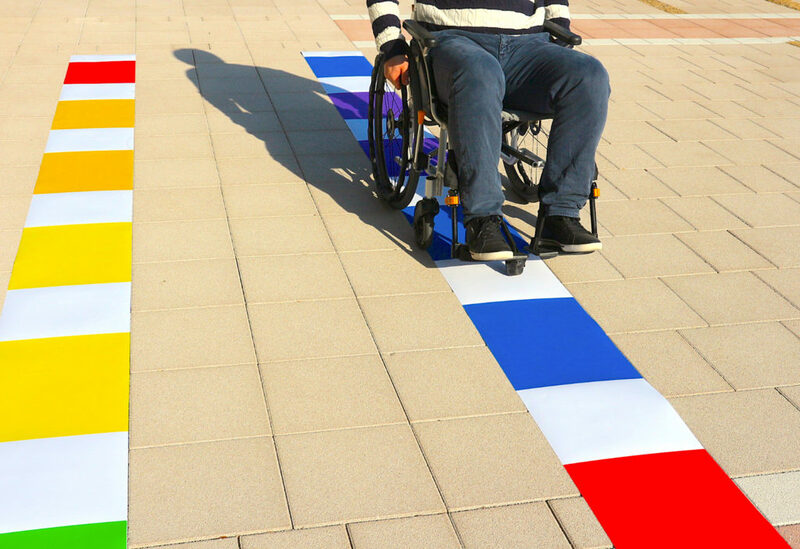 The colorful training course made from coated paper which can be easily designed and the color indicator can be easily attached to any wheelchair. We are trying to support wheelchair’s beginners to receive a better training while using “Sound Wheelchair”. Zanzō is a Japanese word meaning after-image. 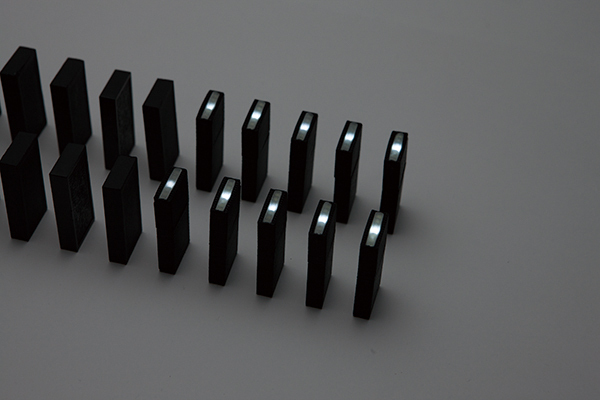 By playing dominoes with these domino-shaped devices, viewers can recognize after-images from lights on the tip of the falling dominoes.The dominoes are lined up carefully one by one and will display a message once briefly as they fall.